Careers in Advanced Manufacturing are alive and well in Eastern Iowa and across the state. Hundreds of high quality, good paying careers await! Is A Career in Advanced Manufacturing in Your Future? 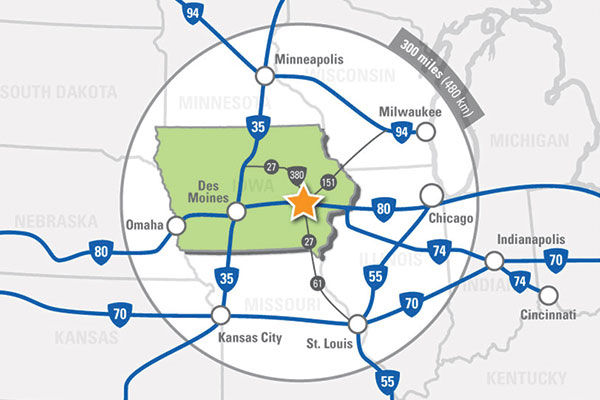 The seven-county region which encompasses the entire Kirkwood Community College service area is home to nearly a half-million people and 30 fortune 500 companies. There are more than 500 manufacturing companies that employ over 30,000 people in the region, providing opportunities in a wide variety of professions with varying skill levels. Get to know some of the companies located in the region that are part of the manufacturing sector board to find out about opportunities that may be right for you. Manufacturing accounts for almost 88% of Iowa’s exports. Iowa’s manufacturing companies have added 6,900 jobs since 2010, a gain of 3.4%. Manufacturing firms supply more than 208,858 jobs to Iowans representing more than 14% of the state’s total employment. My work motivates me, when you can step back and look at a project and know you did it all, it keeps some excitement in there. The variety that manufacturing offers keeps me coming back every day and it gives me a constant drive. I like manufacturing. The fast paced work environment means its never boring. When you walk in the door you have the opportunity to refine our processes and culture and really make a difference. What I like about the manufacturing field is that every day you are building something a little different which comes with different challenges and it keeps things interesting. I like the feeling I accomplish something every time I see a product going out the door of our facility and knowing I was a part of building it. What I like most about my career in manufacturing are the opportunities for research and development, learning new things, doing hands on work and always being productive. What surprised me most when I started my career in manufacturing was how much of a need there was to be organized. I was also surprised by the physical part of the job, and how there are many different manufacturing roles within a facility. When I started in manufacturing I was surprised about the vast array of opportunities available to me when I acquired the skills companies desire. When you’re driving down the road and see one of your products you made out in the field or on the road doing what’s it’s made for, there’s just no better feeling.